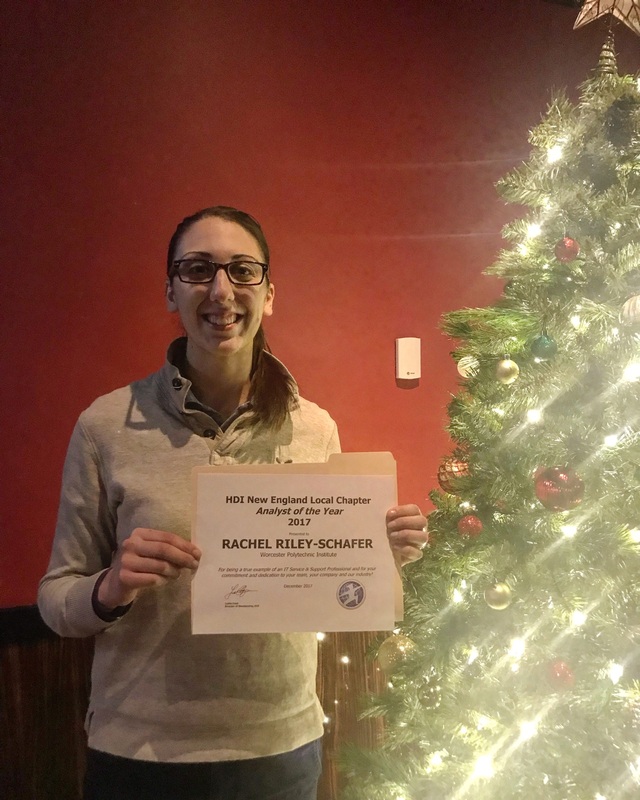 HDI New England is happy to announce our local chapter winner of Analyst of the Year is Rachel Riley-Schafer, Service Desk Student Supervisor at Worcester Polytechnic Institute in Worcester, MA. Rachel provides frontline and VIP support to faculty, staff and students. She supervises and trains about 40 student workers at the university. In addition to managing the frontline, she collaborates with other staff at the IT Service Desk on the development of knowledge used in resolving incidents. Read more about Rachel's nomination on our blog. HDI's industry awards are a prime opportunity to recognize top performers at your organization! Every year, HDI New England recognizes outstanding analysts and technicians working in the areas our chapter serves. The winning analyst and technician go on to compete at the regional level, representing the Northeast Region; regional winners go on to compete at the national level, sitting for live interviews at the HDI Annual Conference & Expo in the spring. Click the buttons below to learn more about each award and start your nomination today. TIP: Download the form documents to prepare the content to paste into the form. Preparing the content helps make the submission quick! Nomination submission deadline is October 31. The nominee must provide actual desk side support. This award is not for supervisors or team leads, as it is focused on the person delivering the services.